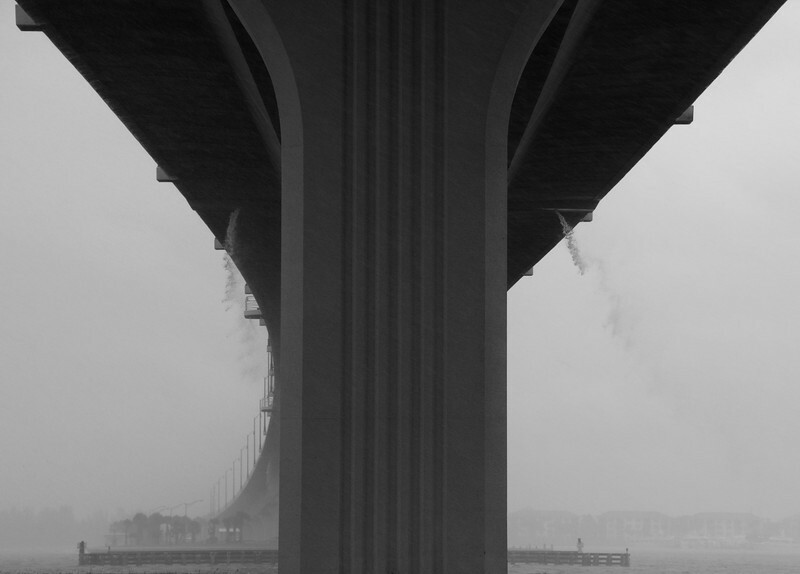 I got caught in this rain storm so I pulled under the bridge to hopefully walk around without getting wet. The wind was blowing the rain horizontally so the only dry place was to the right of the main piling shown. The water you see pouring out is draining from the road surface above.